Remember earlier this summer when we talked about Potty Training Tips? Which Potty Personality did your child turn out to have? Let’s take it on the road now with the Pull-Ups® Potty Partnership and discuss some tips for potty training while traveling, since I know lots of you have trips planned for the rest of the summer. When traveling with a potty training child, you both may feel anxiety creeping in. After all most toddlers don’t want to use a strange toilet to practice doing their business in! You’re usually doing good to get them to go at home, right? Sometimes it feels like the ideal scenario would be to remain housebound until this stage is over with, but since that’s not real life, I’m going to share some tips to assist you in preparing for potty training and travel this summer, with the help of the Pull-Ups® Potty Partnership of course! 1. Don’t Forget The Pull-Ups® Training Pants – If your child wears a Pull-Up on the plane or in the car, there will be fewer tears over accidents both from you and your little one! 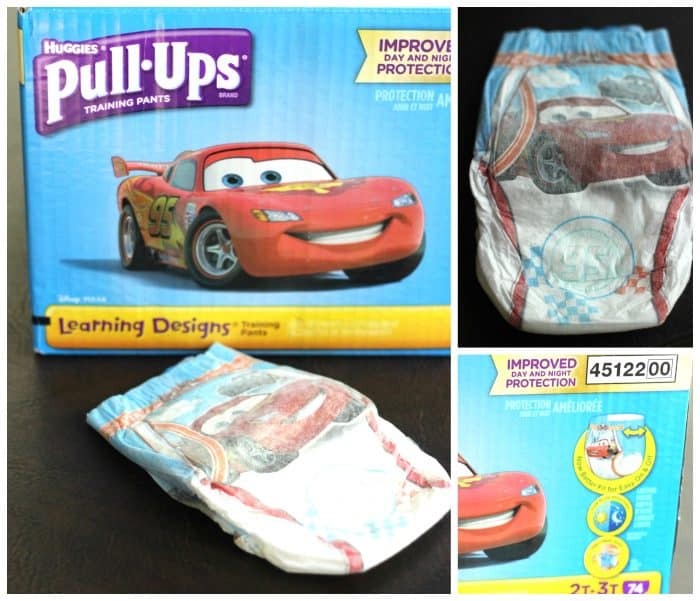 Pull-Ups can make a car seat potty accident merely a matter of a quick change instead of the liquid nightmare you’d be facing with undies alone. Plus, they are designed specifically to help teach potty training skills – they look and feel more like underwear, which gives your child the independence to slide their pants on and off all by themselves. 2. Consider Clothing – Since your potty trainee may be overwhelmed with the idea of using a strange restroom, placing your toddler into clothing that is quick to take off and quick to put back on allows for the unfamiliar restroom visit to go quicker. This might mean wearing stretchy pajama bottoms all day! Make sure your toddler is wearing a Pull-Up underneath to slide everything off even faster. And that’s just one reason to switch from diapers to Pull-Ups training pants! Check out the video below to learn more about making the switch from Pull-Ups partner and child development expert, Dr.Heather Wittenberge. 3. Note Restroom Locations – Remember that toddlers crave familiarity, so asking them to use a different potty in an unfamiliar setting is hard for them. It’s crazy to think about, but your toddler’s mind doesn’t work like yours does. He may not even realize that potties exist in places outside your home! We take these facts for granted, but your toddler is still discovering them. When road-tripping, be sure to note the location rest stops along the way and plan for the miles in-between rest areas. When you go out, make sure to go on a “potty seek and find” mission as soon as you get to your destination. If you’re waiting to catch a flight, take a look around and determine where the nearest restroom is located. You might want to park your traveling party near the entrance while you wait to board, and keep tabs on the length of the line. When flights arrive at a terminal, the wait for the terminal restrooms can go from zero to 15 minutes in a heartbeat. 4. Bring a Portable Potty – If you’ve been using a plastic, portable potty at home just bring it with you on your road trip. Your toddler might feel more comfortable using it discreetly in a parking lot while you and the car door provide privacy rather than using a public restroom. Alternately you can use a portable potty training seat for help using the toilets in public bathrooms. If you have a little boy, you might be tempted to teach him to go #1 standing up for even more convenience during your trip. Watch another video from Dr. Heather Wittenberg below to find out why you might want to hold off on that! I know this was super helpful to note for me and my little guy. 5. Be Prepared for Accidents – While you can use all of the tips listed here to try to prevent, make sure to pack extra wipes, training pants, multiple changes of clothing, and plastic sacks. Accidents may still happen no matter how prepared you are for potty training and travel, and you don’t want to let them ruin your trip. One step forward, two steps back is the name of the potty training game, so while accidents can be disheartening, just remember they are totally normal! Toddlers don’t learn complex, new skills in a straightforward fashion so try to stay patient throughout the entirejourney. There are so many ways you can prepare for potty training and travel. Simply take a few moments to plan ahead before hopping on that plane, train, or automobile and set your child up for long-term potty training success! 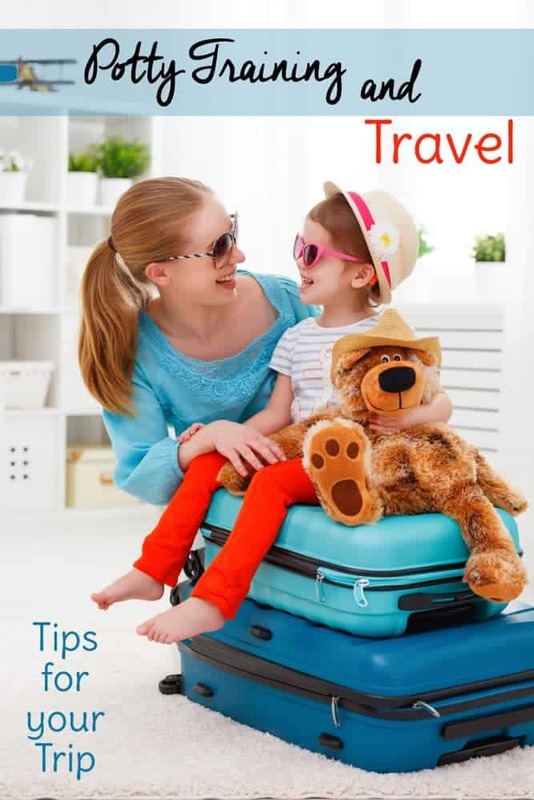 For even more tips and suggestions on preparing for potty training and travel visit child development expert Dr. Heather Wittenberg’s Failproof Potty Training Guide to Traveling. Pull-Ups® Learning Designs® Training Pants have designs that fade when wet so kids can literally see the difference between wet and dry. Try Pull-Ups now at your local retailer and visit Pull-Ups.com to learn more about the Pull-Ups Potty Partnership and discover your child’s potty personality. This post is sponsored by Pull-Ups® Training Pants. « DIY Random Crap Tote Bag: Free Printable!